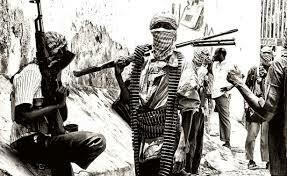 Unknown gunmen have killed at least ten people at Katsak Village in Jema’a Local Government Area (LGA) and three others at Ungwan Danborno in Birnin Gwari Local Government Area of Kaduna State. The men also injured about 15 persons who are presently receiving treatment at different hospitals. According to an eyewitness account, the gunmen stormed Katsat Village when they were celebrating an annual cultural festival at about 9pm on Thursday night and opened fire on them, thereby disrupting the event. The Kaduna State Governor, Nasir El-Rufai, has condemned the attacks in the two LGAs. In a statement issued by his spokesman, Samuel Aruwan, Governor El-Rufai expressed his sympathy to the victims, giving them the assurance that the state government would adopt a comprehensive measure designed to tackle the problem and ensure sustainable peace and security across the state. The statement also restated Governor El-Rufai’s determination to work with the security agencies and the judiciary towards ending the “epidemic of killings and the impunity that feeds it”. No fewer than 500 people have been killed and property worth millions destroyed in similar attacks in the southern part of the state within the last two years.